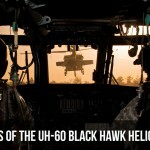 On March 21, 2019, one possible future replacement of the U.S. military’s UH-60 Black Hawk helicopter completed its first flight. 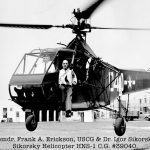 The SB-1 Defiant, a coaxial rotor aircraft is Sikorsky Aircraft and Boeing’s entry for the Army’s Future Vertical Lift (FVL) program. With the lift stability of its coaxial rotors and pusher propeller, the SB-1 is expected to reach speeds of 290 mph, 100 mph faster than the UH-60 Black Hawk. It will have an estimated combat radius of 690 miles and carry 4 crew and 12 combat-equipped troops. 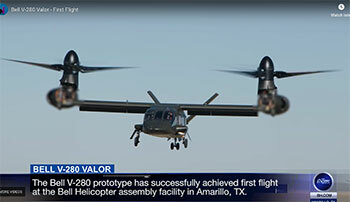 The Defiant is competing with the V-280 Valor tiltrotor entry from Bell Helicopter. The V-280 achieved its first flight on December 18, 2017. Since then the V-280 has conducted forward flight at 287 MPH and reached several other milestones. The Valor is expected to produce an estimated combat radius between 575-900 miles, carry 4 crew and 14 combat-equipped troops, and have a cruising speed of 322 mph. 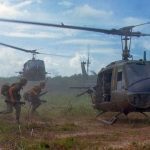 The U.S. Army expects the winner of the FVL program to replace its aging rotary-wing aircraft UH-60 Black Hawk (Introduction 1979), AH-64 Apache (1986), CH-47 Chinook (1962), and OH-58 Kiowa (1969) helicopters. 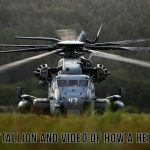 Below are first flight videos of both entries into the Future Vertical Lift program.